Surviving R. Kelly may have changed the public's perception of the R&B luminary but his reputation as a predator-like ladies man goes back a couple decades. Matthew Knowles, who managed his daughter's group as they rose to fame, claims he turned down R. Kelly's proposal to collaborate with Destiny's Child. "R Kelly was managed by Sony, by someone I won’t name, and at that time, they would almost force you to record with [their] artists," said Knowles. "And R Kelly wasn’t cheap – it was $75,000, plus travel costs, so we’re talking $100,000 for a song. I personally rejected the song, because I didn’t think it was a good song. Not just because of [his] reputation – this was around 1998, we had just begun to hear some of those things." He does confirm that this infamous reputation swayed him. "I was there, and my former wife Tina was there. The thing with R Kelly was, he liked to record late at night, around midnight. And what was different with his studio was that one room had a recording suite, and next door was a club, with 40 or 50 people dancing." The toxic culture of the music industry caused him and his wife to supervise the group with adamance. "The girls were 15, 16. When they went to the bathroom, Tina would go with them," he said. "They did not leave our eyes." A source told Metro: "Record labels would ask R Kelly to write songs for emerging artists as a way to help them break into the industry and he made several requests for Destiny’s Child. Mathew and Tina rejected all of them because they didn’t want him anywhere near the band which is why they are one of the few acts to debut in the 90s without an R Kelly song in its official discography." The group did record a song penned by Kelly called "Stimulate Me" for an Eddy Murphy film's soundtrack in 1999. The song was not, however, including on any other their own projects. 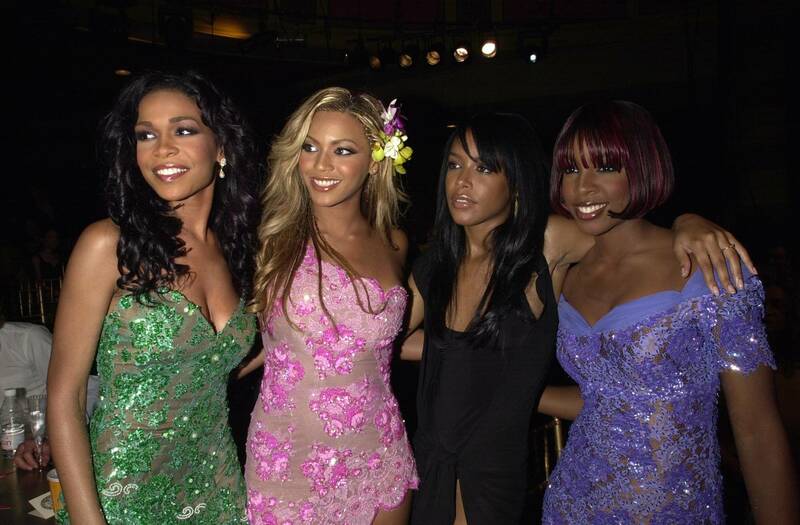 R. Kelly is also said to have not been present when Beyonce, Kelly Rowland, LeToya Luckett and LaTavia put in their studio time.